Three of the seven state mental health facilities in the Eastern Cape do not have permanent psychiatrists. The current focus on conditions at the Tower Hospital in Fort Beaufort must be expanded to the other psychiatric facilities in the province as well. Shocking revelations of the systemic failure and inadequacy at these facilities are contained in a reply to a legislature question I asked the new MEC for Health, Helen Sauls-August. The DA will not rest until we can honestly say that the patients at all mental health facilities in the province are treated with dignity. In a DA-led province, we will bring total change to ensure that the most vulnerable in our society have access to the best care possible. East London Mental Health Unit: Nil posts out of three filled, the last psychiatrist resigned in March 2018. There are 30 patients. No mention is made in the reply to the acute psychiatric units at Holy Cross- and St Barnabas Hospitals. Patients with mental health issues cannot simply be locked away and left without proper, professional care. Many of these patients do not have the capacity to look after themselves and rely on us to ensure that they are treated with dignity and respect. 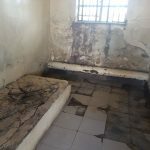 We can never allow for a situation where parts of our mental health facilities are reminders of Victorian-era torture chambers, for example, the solitary cells I found during a visit to Tower Hospital in March this year. According to the reply by the MEC, these cells date back to 1894 and were last refurbished in 1982. Parts of Fort England Hospital date back to 1875. I was deeply disturbed and concerned about the well-choreographed show that was presented to a DA delegation that visited the Tower Hospital in Fort Beaufort on Monday 12 March 2018. It became clear to us that the hospital was cleaned up and prepared for the visit. I therefore caution the Health Ombudsman, prof. Malegapuru Makgoba, to ensure that he is not deceived by pretty window dressing. He and other roleplayers must be honest with themselves and they must be able to say in good conscience that our all mental health facilities are up to standard. What we need is a change that will ensure that our healthcare system provides the best possible care for all patients. A DA-led provincial government will never allow that a tragedy like what happened at Life Esidemeni in Gauteng becomes a reality here, under our watch. — Celeste Barker MPL, Shadow MEC for Health.